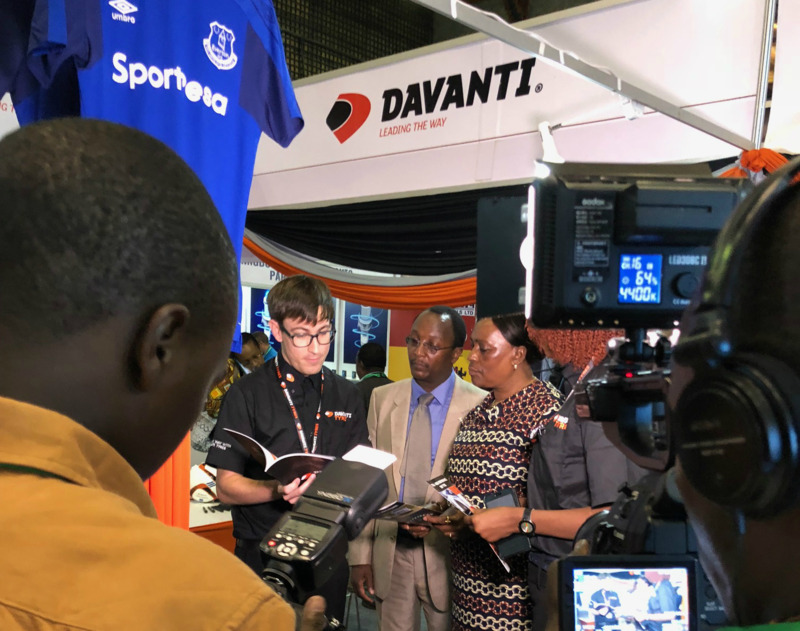 Davanti returned from the AutoExpo Africa show having not only added to its brand awareness but also learned a lot about the needs of such a significant market. Held at the Kenyatta International Convention Centre in Nairobi, AutoExpo Africa had only two tyre manufacturers present, so interest was high from the start. “We had a lot of visitors from the minute the doors opened,” said Peter Cross, Davanti General Manager. One of those visitors was the Director of the State Department of Transport, Ms Geraldine Maingi. AutoExpo Africa was the latest stop for Davanti’s introduction to Terratoura - ideal for a nation where a lot of vehicles are asked to operate on wildly different terrains from tarmac to dust roads to no roads at all. But there was also significant demand for another member of the Davanti family - the DX440. “That was a bit of a surprise,” said Peter. “We expected demand for the Terratoura but a lot of Kenyans use public transport and many of the buses that ferry people around the cities and out into the more remote villages are essentially converted minivans. “The Kenyan market at the moment is split between the most premium brands and the real low budget. In fact what people there want is an affordable tyre that performs well, has notable longevity and gives improved safety and control to drivers. AutoExpo also started some important conversations for Davanti with dealers who have a significant market share in the country.